If you received a letter from the Social Security Administration (SSA) denying your disability claim and you want to appeal it, there are four levels to the appeals process. Each one has different requirements, and each is handled differently by the SSA. Because the appeals process can be complicated and time-consuming, it’s important to hire an experienced SS disability attorney who can help you with your denied claim. The first step in the process to appeal your denied disability claim is Reconsideration, and there are two types of claims that can be appealed at this level: an original claim or an ongoing claim. In most states, to initiate your appeal, you request that the SSA review the initial denial. When your initial disability claim is denied, you can request a Reconsideration. At this level of the appeals process, there's a complete review and re-evaluation of that original claim. A medical consultant and an examiner do this review—and neither were part of the initial decision for the denial. Anyone who had prior knowledge of your claim or anything to do with the denial decision is restricted from making a determination in your Reconsideration claim. Approximately 5–10 percent of all Reconsideration claims are granted an approval. If at this level, the SSA denies your claim again, you’ll receive a letter explaining the denial and information about how to go to the next level of appeal. If you want to appeal the termination of benefits, you have to request a “Reconsideration of a CDR” at a hearing that takes place in front of a disability hearing officer (DHO). But prior to your claim getting to the DHO, it's given a second review by a different examiner and medical consultant. These two people have the authority to reverse the termination of your benefits and reinstate them. It’s important to note that the DHO is permitted to form her own medical opinion about your condition, illness, impairment, or disease, even though she's not a doctor or a psychologist. However, she must provide solid evidence that your medical condition has improved enough that you can now work and don’t need benefits. Representatives with the SSA read your doctor’s notes and opinion regarding your limitations, and make a determination about whether they’ve improved. 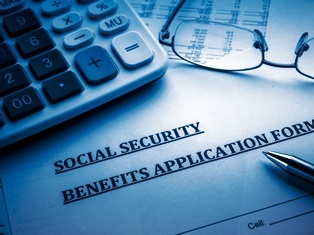 If the SSA feels that your claim is “borderline,” it’s likely that you’ll win your appeal and continue to receive disability benefits. In CDR case denial you must appeal within ten days to continue to receive benefits while the review is being conducted. It’s also important to note that over 80 percent of claims are denied at the Reconsideration level. If your claim is denied, you have 60 days to file for Reconsideration after you receive notice of the denial. If you miss this 60-day window, the SSA requires that you start the application process from the beginning. Generally, it takes three–five months to finish the Reconsideration process. At that point, the SSA sends you a letter telling you of its decision. If you need help appealing a denied SS disability claim, or your claim was denied at the Reconsideration level, the attorneys at Cuddigan Law can help. We’ve assisted thousands of clients through this process in a variety of ways, including filling out their paperwork, collecting their medical records, calling doctors, and managing them through the four levels of the appeals system. Contact us for a free evaluation, and we’ll evaluate your case and let you know how we can increase your chances of receiving an approval on your appeal. Should I Appeal My Denied SS Claim?